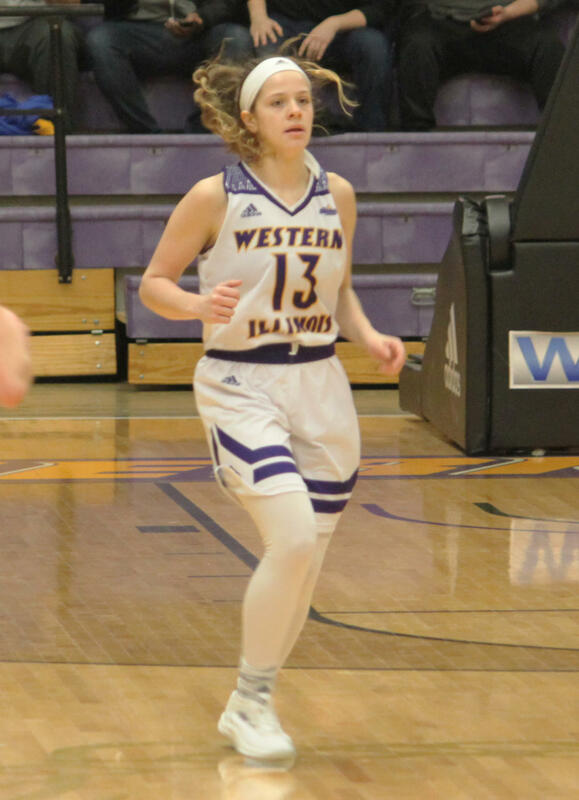 The season has come to an end for Western Illinois University Leathernecks (12-18, 8-8 Summit) women’s basketball team. The rough year ended in a first round exit in The Summit League Tournament, with a defeat of 68-64 by Oral Roberts University Golden Eagles. The Leathernecks were hoping to make a postseason tournament for the third straight year but couldn’t get on track this season. The five game losing streak that ended the season highlights the struggles Western faced all season. Western opened the season hosting No. 16 ranked University of Missouri Tigers in Western Hall. This game was the first of its kind; WIU men or women’s teams had never hosted a top-25 team until this point. Although the Leathernecks fell short, it was one of the most highly attended games of the year and sparked energy into the program. The Purple and Gold hosted another top-25 opponent later in the season, when they lost to the No. 25 ranked University of South Dakota Coyotes. Losing both games was disappointing, but being able to host Missouri shows the direction the program is headed. While WIU could not get on track as a team, they had plenty of individual success. Senior guard Taylor Higginbotham broke the programs career scoring mark and will finish her career with 1,806 points. Her scoring will be missed. She has been a solid performer for the team for four years averaging 14 points for her career, replacing her production will be tough. Junior guard Olivia Kaufmann led the team all year and was an all conference performer. Her return next season should soften the blow of the Higginbotham lost. Kaufmann averaged 16 points, five rebounds, four assists and two steals on the season. She should only get better with a full offseason of work. Her teammates will be familiar; the only senior on the roster this season was Higginbotham. Head coach JD Gravina should feel confident heading into the off season because of the experience they will have coming into next season. Annabel Graettinger will be the leader of that group of experienced players. She averaged 12 points in her first season with the Leathernecks after transferring from South Dakota. Her versatility was a weapon for the Necks; she scored 18 points and grabbed six rebounds against Missouri, proving her rare skills. In the off-season, Western will likely work on their three point shooting and defense. They gave up nearly 80 points a game, allowing opponents to score that many points will result in problems for the most talented teams. Playing better defense could’ve given them a chance in a lot of games this season. Their offense was solid, despite the down year from outside the arc. A staple of Western’s success from the last two years has been shooting. To get back to that success they have to get their three point shooting percentage back to at least 35 percent. Gravina and the coaching staff should center plenty of practices on achieving that goal. This season didn’t end the way the Necks wanted, but the future is bright. Gravina has proven what he can do with a lot of returning talent. The last team he had that returned with this many players was the 2016-2017 Leathernecks, which he led to the programs first NCAA tournament bid. With almost the entire roster coming back, next season should look a lot better for the Leathernecks.